The FSS-400 is used in the production of automotive sized lead-acid batteries. It is designed to fold separator material around positive plates, seal them along the sides, and stack them along with negative plates into cell elements. 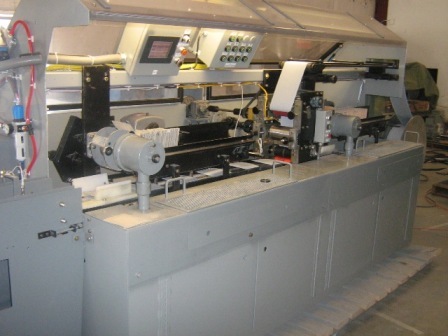 In addition to new machines, we have a stock of used machines that can be rebuilt to your specifications. These units are used by many battery manufacturers in the U.S. and around the world, with over 100 machines are in service with Exide. The FSS 400 unit is designed to work with typical automotive plate sizes from group U-1 to 8D and 3GC. Production rates range from 160 plates/min on 31s down to 60 plates/min on Lawn mower. 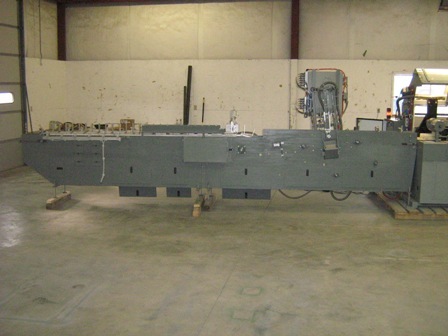 The unit will work with standard or glass backed separator. See our FSS-400 Videos here.